I'm getting exceedingly worse at noting down my favourites each month, so I've decided I'm going to have a bash at a weekly edition instead. This may either be the best or the worst decision blog-wise I've made this year, but we shall see how it goes! 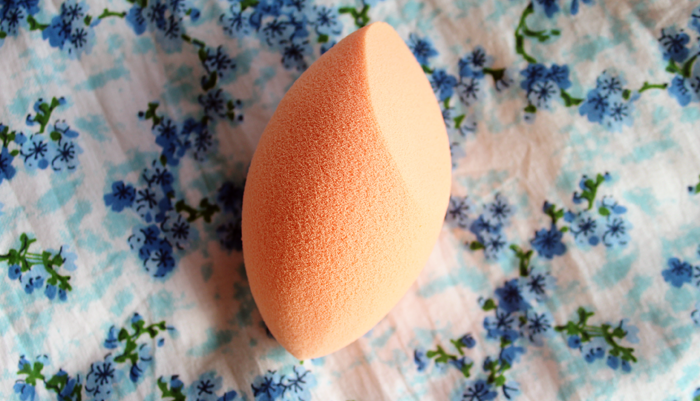 This little orange sponge has completely revolutionised my foundation application. Okay, that makes it sound a little more dramatic than necessary but I really do love this little thing. Applying foundation was always my least favourite part of my make up routine because it took me seemingly forever to get an even application with a brush and there would always be a little patch where the product would cling to any hint of dryness. Since switching to a sponge I haven't had of those issues and it makes putting on my foundation a more of a pleasure than a chore. I also think it's infinitely better than the Beauty Blender in every single way! There's something about the texture and shape of this one that makes it easier to use and more effective at blending. Until recently Bourjois Healthy Mix had been my favourite foundation for at least a couple of years until I noticed that sometimes there was something about the colour that didn't look quite right. Sometimes I thought it looked okay, but other days it looked just a little bit too dark. I was in Boots one afternoon and I thought I'd have a look for a new foundation that looked like it would be a shade or so lighter than Healthy Mix. I settled on Rimmel Match Perfection in Light Porcelain because it was the lightest one I could find and crossed my fingers that it would work. It's not perfect, if anything it's a little too light which is something that has never happened to me, ever. It's also a little bit too pink but 1 pump of this with half a pump of the Healthy Mix, applied with the Real Techniques sponge is PERFECT. This was described to me as a light balm that would nourish dry lips without feeling thick or greasy and I must say, it really has lived up to those claims. The majority seems to sink into my lips almost immediately & there's a small amount that stays on the surface & gives what I can only describe as a 'healthy sheen'. It's really nice. I'm not sold on the scent, it's almost a little synthetic but it does seem to settle into cocoa buttery loveliness after a few minutes. I talked about this really recently, but it wouldn't be a true representation of my weekly favourites if I didn't mention it again. There's a picture of me wearing it here & it's all I've been reaching for over the last month or so. I haven't used only one blush for so long, the last time probably being when I discovered the Dior Rosy Glow. It's pretty neutral & goes with most things, which is why I like it so much. I think that maybe £18 is a little on the expensive side, especially because the packaging isn't really anything special. But I still like it & can't fault the blush itself at all. 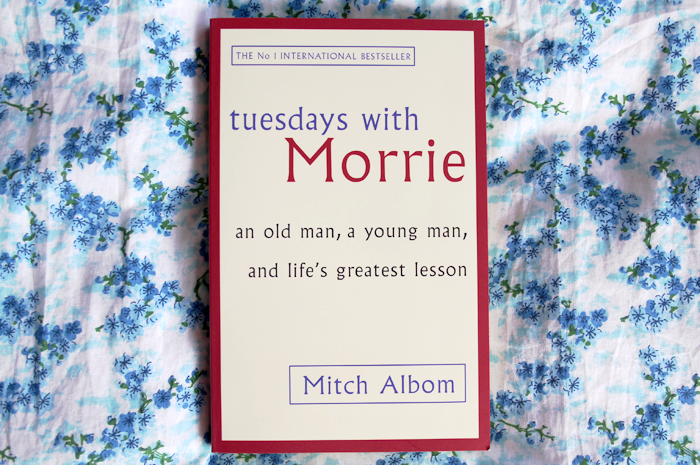 And the award for worst book cover but loveliest sentiment inside goes to.......Tuesdays With Morrie. There were tears in my eyes as I read and I definitely went through a lot of tissues. Once I've gathered my thoughts a little, I'll put them into a proper review because it really deserves its own post. For now I'll just say that this book will stay with me for a long time, which is nice because I think I'll be a better person because of it. One of the best films I've seen in a really long time. Recounting the adventures of Gustave H, a legendary concierge at a famous European hotel & Zero Moustafa, the lobby boy who becomes his most trusted friend. It's just that, so much more, & features one of the best falling-off-a-mountain scenes ever. The first time I listened, after anticipating it for so long, I wasn't sure about it. I liked it more the second time and even more the third time. 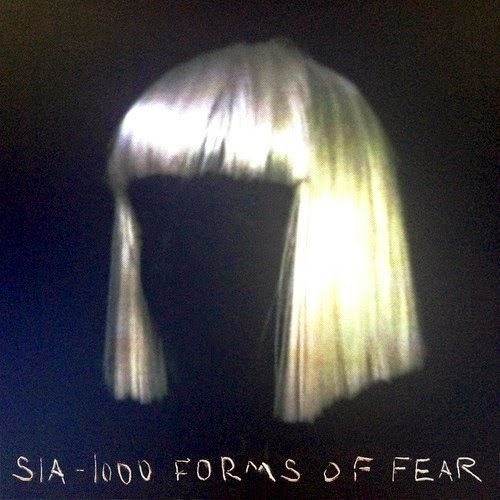 Some People Have Real Problems will always be my favourite Sia album. Memories and stuff, you know? This one is pretty special too though. Is there anything you've been particularly liking recently? I quite like the idea of doing weekly favourites, it keeps your blog more varied I think. I would do it too except I don't change around my products that often so it's hard for me to find new favourites haha, I love your photography!! I didn't get on well with that sponge but I think I need to give it another try! I just adore Tuesdays with Morrie - it's such a wonderful book. Mitch Alborn is one of my favourite authors. I've read other books by Mitch Albom, but never this one. I think I'll have to give it a go, I love all that life-changing stuff. 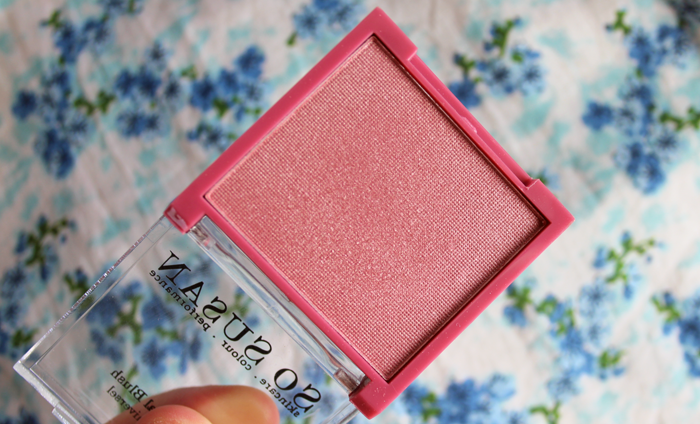 That blush is such a gorgeous colour! I've been looking for a new book to read, I think I'd better get my tissues ready though! I'm excited to see your weekly favourites each week! I think it will be fabulous! I too love the Match Perfection foundation, it's a staple in my collection! I dont change my makeup much (I know I should do it more!) so weekly faves wouldn't be too good for me! :-( I have the RT sponge and to be honest I think its good but I wouldn't recommend anyone to get it.. There are cheaper versions of it out there! The Grand Budapest Hotel is one of my favourite films! It was another little gem from the lovely Wes Anderson's mind. 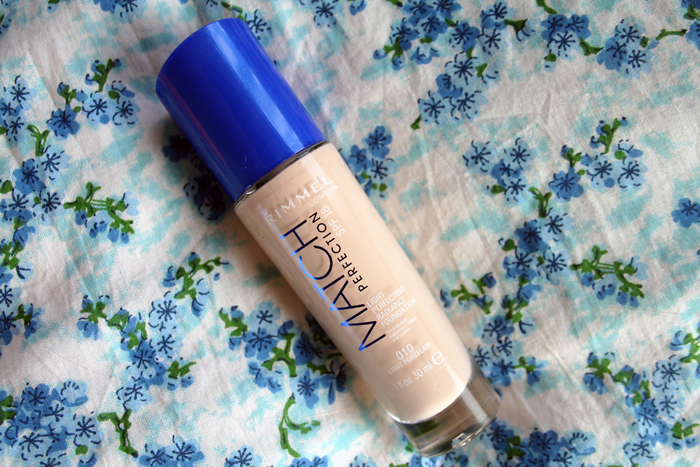 I've loved Rimmel Match Perfection for a long time now, I love the fact I've found a foundation that's light enough for me! I'm interested in trying the RT sponge. I've been completely hooked on Maybeline FIT me concealer recently. I like the sound of the lip balm, I'm always looking for new ones to try as my lips get dry really easily! 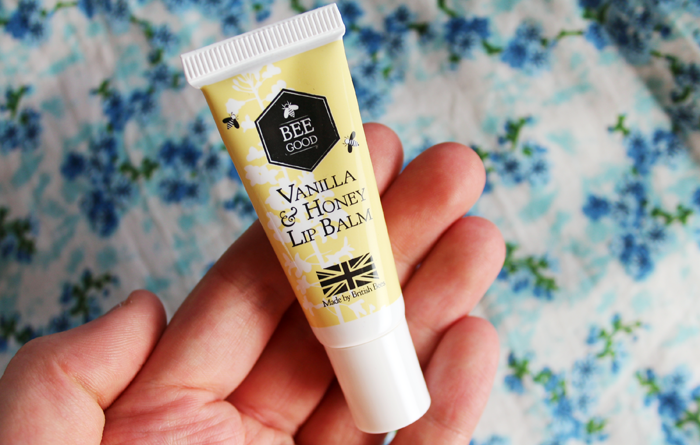 That vanilla and honey lip balm sounds yummy and creamy - thanks for the tip! I just watched that movie... I absolutely love it. It was 100x better than expected. Ooh I'm glad you've introduced me to that sponge I was looking at getting a beauty blender but couldn't really justify spending that amount of money on it! This is much more reasonable. Everyone keeps talking about the Match Perfection foundation and it's a product I've had in my collection since it's release but keep overlooking. I really need to try it again. 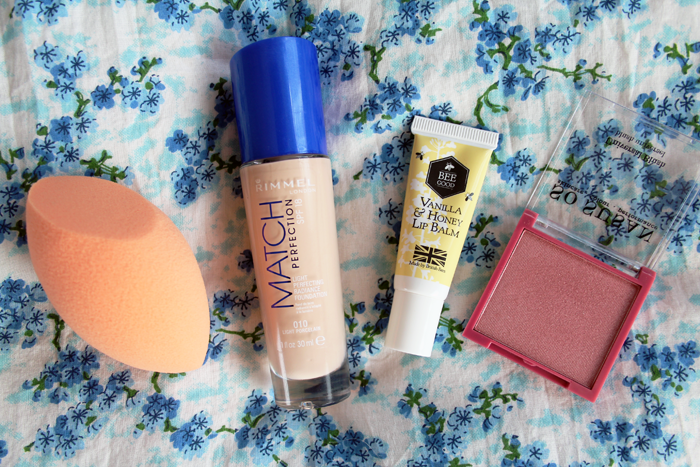 The Match Perfection foundation is the only foundation that 100% suits my pale skin! I think it's possibly my favourite ever foundation (even beats Revlons Colorstay for me)! I looooove the way it smells too which is a bit odd, I still need to get round to trying my So Susan Blush, but I am now incredibly excited to use it! I absolutely loved the Grand Budapest Hotel, no shock there though, I'm pretty much in awe of Adrien Brody aha!